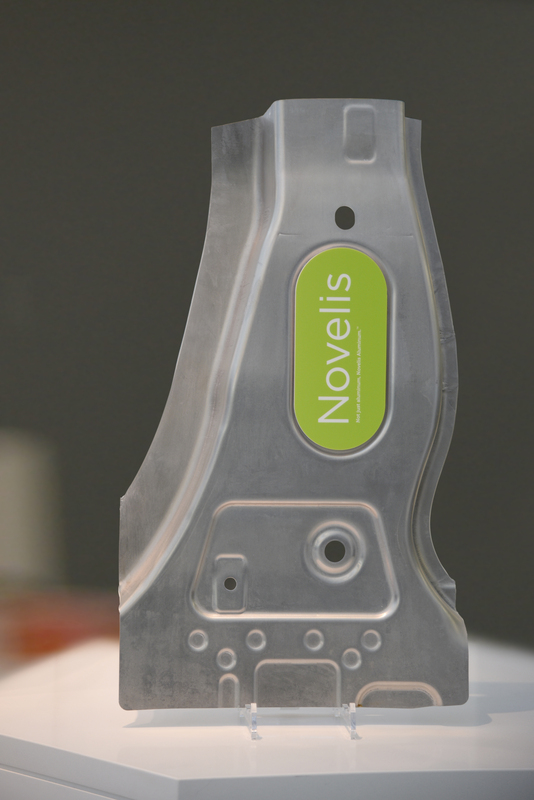 Novelis on Monday announced a 7000-series aluminum it says is two to three times stronger than typical automotive aluminum. It said in a news release the Advanz 7000 is up to the job of “bumper systems, crash ring components and door intrusion beams” while remaining lighter than high-strength steel. The company released images of a 7000-series aluminum B-pillar reinforcement on Monday. Aluminum has already been used for those types of super-strong components. At 2014 and again at the 2015 Great Designs in Steel, Acura indicated the 2015 TLX had aluminum bumper beams, which makes us curious what grade of aluminum was used and who built it. For comparison, the 2015 Ford Edge, also shown off at the 2015 Great Designs in Steel, had a 1,300 MPa ultra-high-strength steel bumper. 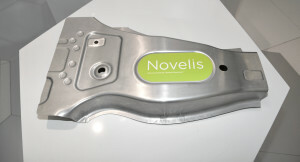 Novelis said “a number of global automakers” are testing the alloys right now, though it did not provide specifics. Automotive News noted that Ford and Jaguar Land Rover are among the company’s biggest automotive clients. “We are working with Novelis on a whole range of new, high-strength aluminum alloys, of which the 7000 series could be included for specific applications on future products,” Jaguar Land Rover chief body engineer Mark White told the newspaper. For example, repairers are only allowed in some cases to fix the TLX’s aluminum hood — but the car’s aluminum bumper beams and aluminum-steel front subframe must be replaced. A TLX service bulletin also notes that corrosion should be a concern, and certain fasteners can’t be reused on aluminum parts.